All Rhône in a bottle! An impressive wine resulting blend of all varieties of the estate. Therefore exhibits incredible complexity, are particularly “talented” combinations with complex flavors, and suitable for long aging. Soil: Schist, sandy clay loamy, 320-380m (1050-1350ft) and 550-600m (1600-1950ft) in altitude. Vinification: The red varieties Syrah, Mourvedre and Grenache, are vinified separately in temperature controlled tanks. Syrah is being vinified in oak casks, whereas Mourvedre and Grenache in stainless steel tanks. Maceration lasts from 12-25 days depending on the variety. After maceration is complete, the wine is racked into oak barrels (75% French oak, 25% US oak) where malolactic fermentation takes place and it matures for 10 months. All barrels are new and there are being replaced every four years. Clear with dense ruby color and rich legs. 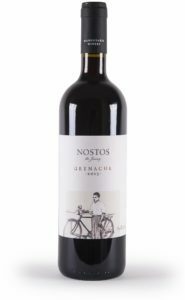 Fruity aromas that are simultaneously dense and fresh.Aromas include strawberry, black cherry, mulberry, some notes of tobacco and spices.Full and dry mouth with smooth tannins and again, fresh fruit. It has a long and clean finish that accentuates the spices present. Ready to drink now and will remain at its peak for the next 2 to 4 years. 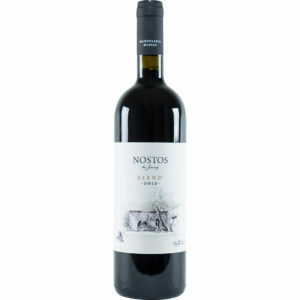 Food Pairing: Nostos Alexandra’s is best served with roasted meats and casseroles. Vinification: Ferments and matures for around 6-7 months in French oak barrels. All barrels are new and they are being replaced every 4 years. Characteristics: Bright, moderate to dark lemon-green color with slow and rich legs. Nose with moderate to high intensity. Ripe, fleshy, white fruit, honeycomb, dried flowers, butter and vanilla. Dense, full bodied and complex mouth with intense flavor of white fruit. Long finish dominated by vanilla, honey and light oak flavors. Ready to drink now and will develop for the next 3 to 5 years. Once it reaches its peak, it will remain there for at least 4 more years. Food Pairing: Our Roussanne is best served with light meat and poultry served with white sauces; as well as seafood. Vinification: Classic red vinification in stainless steel tanks under controlled conditions. A-fourteen-day maceration is followed by racking the wine into oak casks (3.000 litters) where malolactic fermentation takes place and it matures for 10 months. Characteristics: Clear, medium to deep ruby color with rich, dense legs. Intense nose with aromas that emphasize the maturity: red fruit juices, chocolate and sweet spices, mainly vanilla. Dry in the mouth with volume and depth. Ripe and smooth tannins. Long finish with intense presence of ripe, red fruits. Ready to drink now and will remain at its peak for the next 2 to 4 years. Food pairing: Our Grenache is best matched with roasted meats; meats served with red sauces; and pasta with meat and tomato sauces. Vinification: Classic red vinification in open oak vats and controlled temperature. Maceration lasts around 25 days. After maceration is complete the wine is racked into oak barrels (75% French oak, 25% US oak) for ageing over 10 months. All barrels are new and are replaced every 4 years. Characteristics: Clear, almost opaque dark purple color with nearly static legs. Intense, dense aromas of black fruit, tobacco, black pepper, ink and coffee. Simultaneously very complex and young in character. Mouth full of varietal character. Full bodied with intense tannins that are softened by the high level of alcohol. Flavors of black berries, black pepper and wild mountain herbs. Exceptionally long finish with freshness but rich at the same time. Ready to drink. It will reach its peak in the next 4 to 6 years which will last for the following 10 years. Food pairing: Our Syrah is best matched with game; barbequed meat; stewed meat; and all red meats served with spicy sauce. Harvest: Each variety is harvested separately from August 15th to August 30th. Characteristics: Bright pink color. Intense nose with strawberry candy, grenadine and rose aromas. 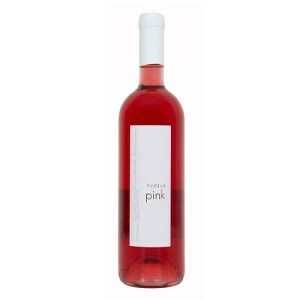 Medium bodied wine with gentle acidity and a slight sweetness in the aftertaste. To be consumed fresh! Food pairing: Fresh salads, grilled greens, pasta, poultry served with light sauce and seafood dishes. Varieties: Syrah, Mouvedre, Grenache Rouge, Roussanne. Clear, very dense ruby color with youthful purple notes. Many dense legs coat the glass. Intense nose, complex character with ripened black fruit in excellent balance with the oak. Some notes of leather with finesse and freshness. Mouth with volume and density of high but ripened tannins in perfect balance with the rich alcohol and good acid. Complex flavors follow and reflect the aromas. Long finish that accentuates the freshness while maintaining its richness. Ready to drink and will reach its peak in the next 3 to 4 years. It will remain at its peak for the following 5 years.